David Bowman getting blown through the hatch back into the spaceship so he can take out Hal. 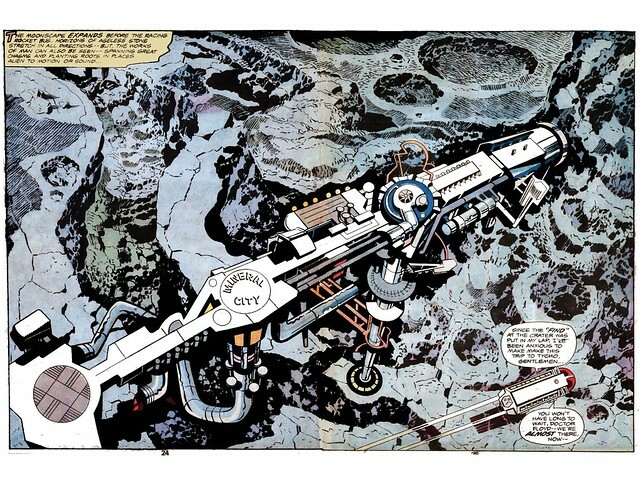 The incredible double page spread of a shuttle zipping across the moonscape with a base / mineral city below it. Dave Bowman removing Hal's memory discs, the most dramatic scene from the movie. 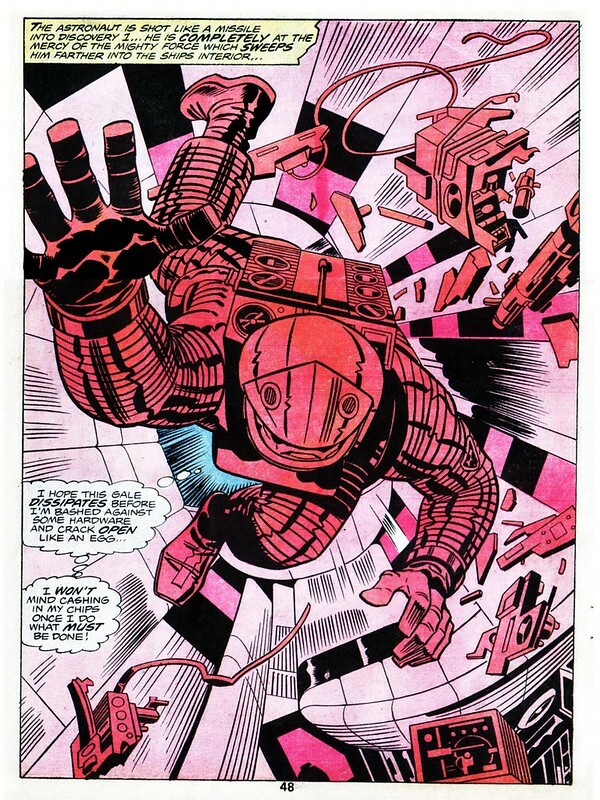 The final trip that Bowman takes, courtesy of the Monolith, is even wilder than the one from the movie. 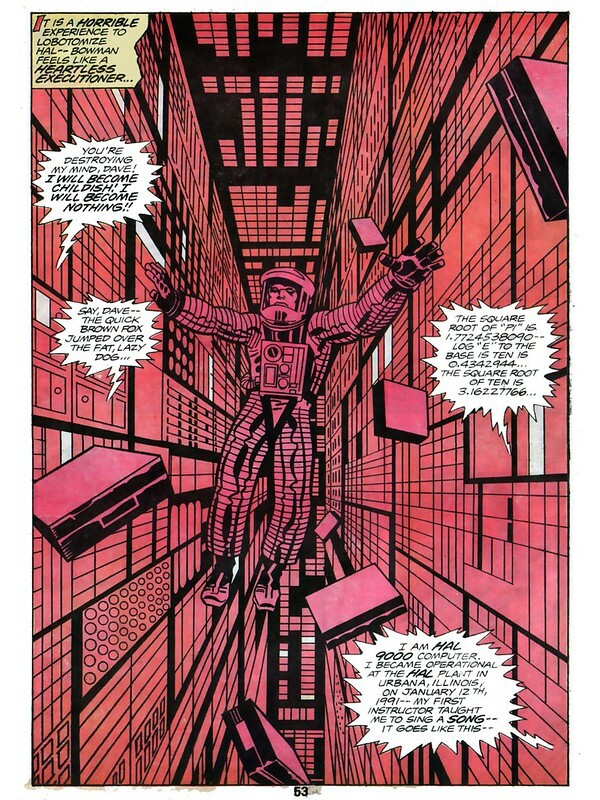 Kirby always believed that comics were a great art form and deserved presentation in different formats and graphic novels. This was one time he was able to prove his point very skillfully. 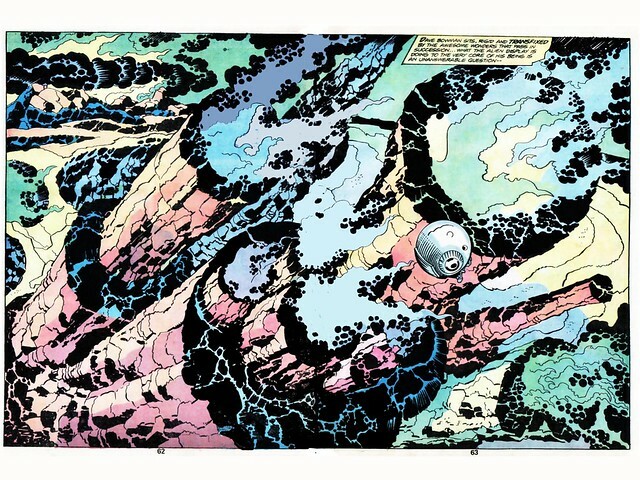 This Treasury special is well worth buying used on eBay if you are a Kirby fan. Nuff Said!